Our reviews are designed to help you work out what to do in Hepburn Springs. This week we’re talking about country drives. Hepburn Springs is the perfect place to indulge and be pampered at day spas, boutiques and restaurants that are in walking distance of a choice of luxury accommodation. For those who want to explore a little further, but do not want to expend too much effort, the Hepburn Springs area offers a number of beautiful drives. 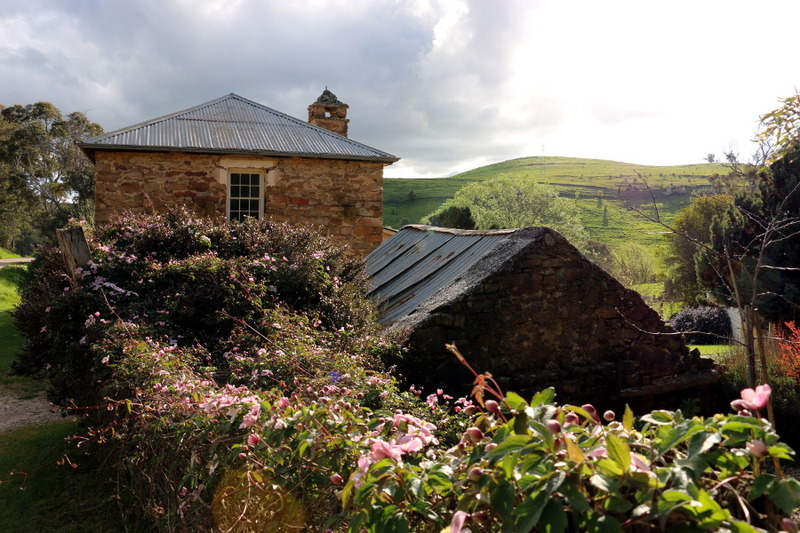 Driving through the countryside is perfect for those searching for what to do in Hepburn Springs combining history, beautiful scenery and some (very) gentle off-road exploration. You’ll Travel through rolling green hills, past grape vines and historic landmarks, at a pace befitting a town devoted to serious relaxation. A particularly beautiful and historic drive is from Hepburn Springs to Yandoit, where you’ll travel along gently winding roads and up into the hills. From Hepburn Springs take the Main Road onto the Hepburn-Newstead Road. The road is windy and has great views down into the gullies, where creeks meander amongst gums and grazing cattle. Traveling through Shepherds Flat, past Lavandula and Jim Crow Creek, the road eventually meets C285, where you can turn left, and head towards Yandoit. Miners and settlers from Germany, Britain and Italy established themselves in the area near Hepburn Springs, Newstead and Yandoit in the early 1850s. The Italians who settled in the area brought their practices of vegetable growing, butter and cheese making, and fruit growing. They also successfully established vineyards and made their own wine. You’ll need to turn off the main road at Yandoit. A small settlement including a school still operates and you can see a number of lovely churches. The beauty of the area lies in the many stone buildings dotted throughout the picturesque landscape. Many of the buildings are built in the typical northern Italian style of the nineteenth century and show the influence of the Swiss Italians. The Gervasoni family was notable in helping to establish the settlement in the 1860s. The family came from the foothills of the Alps in northern Italy, very close to the Swiss border. They became successful farmers and viticulturalists and developed a thriving business supplying milk and butter to the miners. A collection of buildings on Yandoit Creek Road, known as the Carlo Gervasoni complex is heritage listed and can be seen from the road. It is regarded as the first settlement of Italians in Australia. The property was owned by the family up until 1925. The buildings underwent significant changes over the years and substantial redevelopment following a tornado in 1897. At different times the house and other buildings in the complex included a large wine cellar, cheese cellar and a ball room. To experience the beauty of the area you can do a short circuit. Follow Yandoit Creek Road to Yandoit-Werona Road. Turn right onto Werona-Kingston Road, right onto Creswick-Newstead (c285) and then turn right again onto Yandoit-Sandon Road. This takes you back to Yandoit. There are also a number of other small roads worth exploring. With so many picturesque vistas it is worth stopping the car and taking a walk along one of the quiet country roads. You’ll spy crumbling stone walls, simple stone barns and cottages. Old gum trees stand majestic alongside creeks, stretching toward the sun in open paddocks. Peppercorn trees sway beside narrow timber bridges and frogs chirp loudly in the wet gullies. 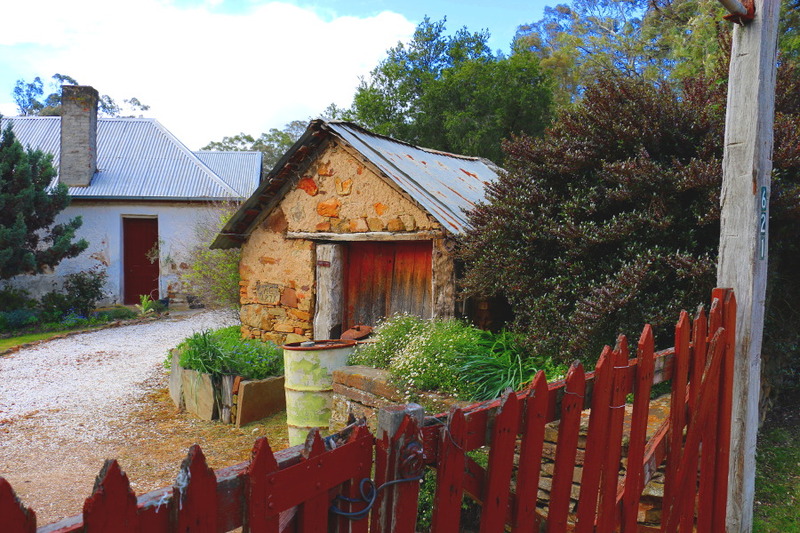 There are plenty of opportunities for photographing some idylic country scenes. There are many other similar short drives to enjoy in close proximity to central Hepburn Springs. Stay tuned to our reviews and events page to find out more about what to do in Hepburn Springs. Follow us on Facebook to catch our latest news and reviews of great things to do. If the beauty and the story of the Yandoit Italian heritage has captivated you, there is plenty of amazing Hepburn Springs luxury accommodation where you can experience more of the charm and history of the area. Hepburn Springs, a 15 minute drive from Yandoit offers a range of luxury accommodation choices. Kookaburra Ridge, a family sized cottage surrounded by a two acre Italian-style paradise with roses, olives, vegetables, and fruit, is located on a quiet country lane in Hepburn Springs. For absolute spa luxury next to the Hepburn Springs mineral waters, try Horizon or Saffron.